If you can’t get enough of dark floral prints, then I’ve got just the accessory for your tech devices. I’m sharing these wallpapers with those who sign up for my newsletter. If you already subscribe to my newsletter, links to these wallpapers are in the first issue-which should be in your inbox today. 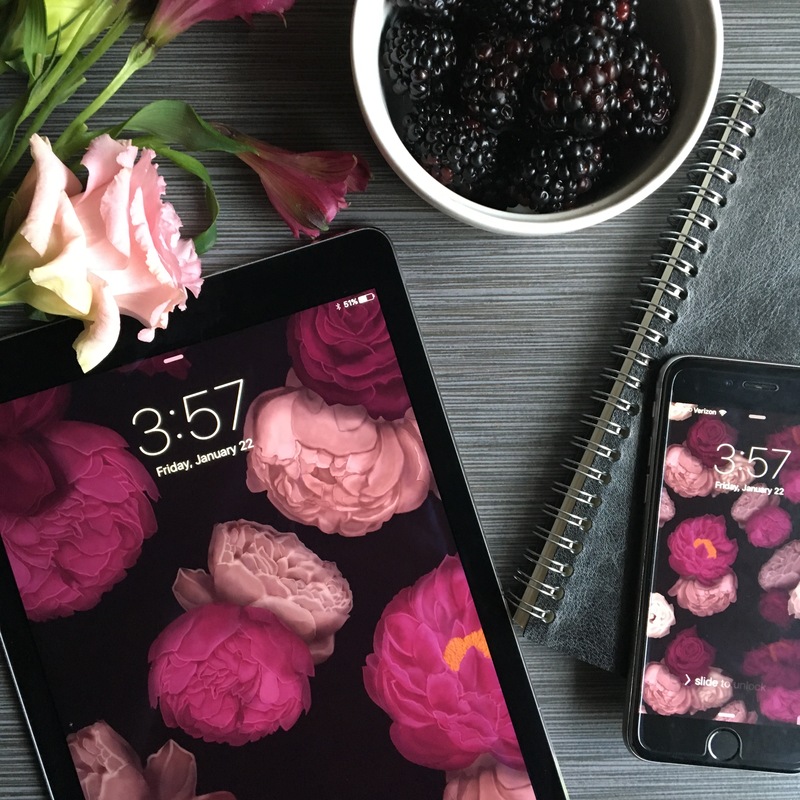 These dark floral “Moody Bloom” wallpapers are a great way to dress your tech. These wallpapers are my way of saying thank you to those who sign up for my newsletter. Plus, it’s a preview of the type of content you can expect in my newsletter. This “Moody Blooms” pattern is available in a regular size print (on the iPhone in the picture above) and “close up” size print (on the iPad in the picture above). You can download this wallpaper for use on your desktop, iPad, and/or phone. This is a fabulous idea Mikayla! I love dark floral prints, and your illustrations are really beautiful and striking. Thank you for sharing the wallpapers with your readers! Thanks so much, Saba. So glad you like them!